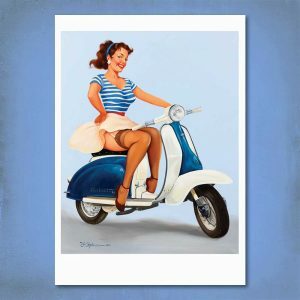 This vintage inspired pin up print will steal your heart. Love Hearts Pin-Up Print is a retro style pin-up poster. 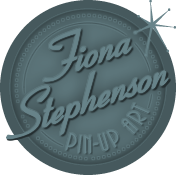 It takes inspiration from the work of women Pin-Up artists set by Joyce Ballantyne, Zoe Mozert and Pearl Frush. 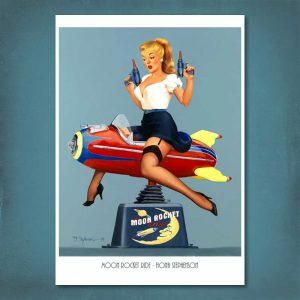 This limited edition A2 (23.4 x 16.5 in) pin-up print is printed onto archival 250gsm paper, signed and numbered by the artist. The Love Hearts Pin-Up Print comes unframed, delivered in a tube. Free Worldwide Delivery. Upon clearance of payment your order will be sent within 7 days.